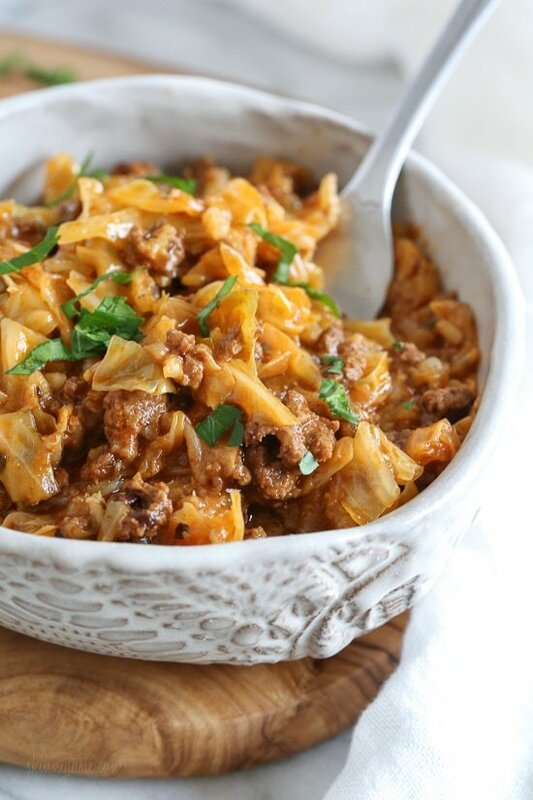 Quick and easy stuffed cabbage – without all the work! I love stuffed cabbage, it reminds me of my childhood (a staple in my home growing up), but they can be a bit time consuming. I came up with the idea to chop the cabbage and turn them into bowls instead and they came out so good! My husband RAVED, these are a keeper. I made this in the Instant Pot but you can easily make this on the stove, simply double the cooking time. I added some cooked rice to them as my parents always make stuffed cabbage with rice but if you want to keep this low carb, feel free to leave it out. Quick and easy stuffed cabbage – without all the work! Press the saute button on the Instant Pot. Spray with oil then add the beef and salt, cook breaking the meat up until browned, about 5 minutes. Add the onion, garlic, marjoram and black pepper and stir. Add the tomato sauce, paprika, beef broth and raisins, cover and cook high pressure 15 minutes. Quick release, add the rice and cabbage and cook 3 minutes high pressure. Quick release and serve with additional rice if desired. Heat a large pot or Dutch oven over medium-high heat, spray with oil then add the beef and salt, cook breaking the meat up until browned, about 5 minutes. Add the onion, garlic, marjoram and black pepper and stir. Add the tomato sauce, 1/4 cup water, paprika, beef broth and raisins, cover and cook medium-low 25 minutes. Add the cooked rice and cabbage and cook 8 to 10 minutes, or until the cabbage is tender. 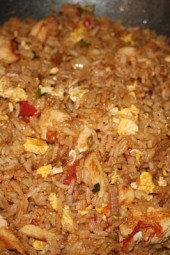 Serve with additional rice if desired. If I leave out the raisins and use turkey, would it be zero points? I had initially made the cauliflower soup today but it tasted so good that I couldn’t help myself and ordered groceries through instacart to have the ingredients for this recipe delivered to me so that I could cook this as well. My husband has a sensitivity to beef so I had to sub it for ground turkey. I didn’t have any raisins on hand so I omitted that as well. I was in a rush to taste this and had misread the instructions. I placed raw brown rice in the instapot and it was al dente at 15 minutes. I just cooked it some more at 5 minutes and it was perfect. I’m sure that with the original recipe, raw rice would require more moisture but my ground turkey was pre brined and a lot of water came out of cooking it. The end result is still almost slightly soupy but very tasty. Would have loved to add some sour cream on top to add some acidity to the dish but too scared of the additional calories. Thank you for this recipe! I am now hooked on your site. 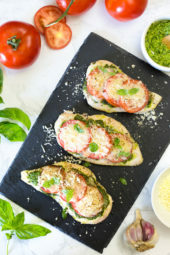 This is one of my favourite recipes from your site, Gina! I make it very often; it’s about time a left a review…Sometimes I add a can of fire roasted tomatoes and when I’m trying to lose some weight, I make it with ground turkey/chicken and omit the rice and raisins, Still delicious! Easy & delicious! I’ve made this several times for my family & it’s always a hit & never any leftovers! 🙂 Enjoy! This recipe is amazing. My husband and I love it. It’s so delicious and easy to make.Thank you!!! I LOVE this recipe! Thanks, Gina! I am Ukrainian and stuffed cabbage rolls have been a staple in my home since childhood. 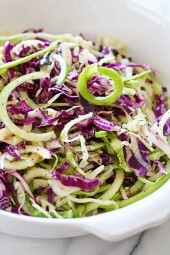 This recipe is so delish and cuts time in half if not more without sacrificing the taste. I would add grated carrots to the cabbage mix as well as bay leaf when cooking meat and then eat it all adding a good amount of sour cream on top of it. YUM! Will be making it tonight. Sounds good, I too would use Turkey instead of beef. And omit the the raisins. I might use the brown rice or just do half brown rice & half Cauliflower rice since I wouldn’t be the only one eating it. Thanks!